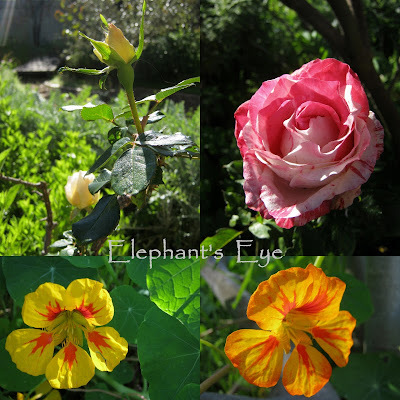 When I pruned the roses, there were four flowers I left, to be cut down when the flowers faded. One was this Great North. Now I watch and wait, as the new season’s buds plump up and the fresh red leaves unfurl. Among the few exotic non-South Africans in my garden, with the roses and nasturtiums, is Prunus nigra, Canadian plum, unfurling its first petals today. As a very early welcome to spring, with our neighbour’s peach trees. 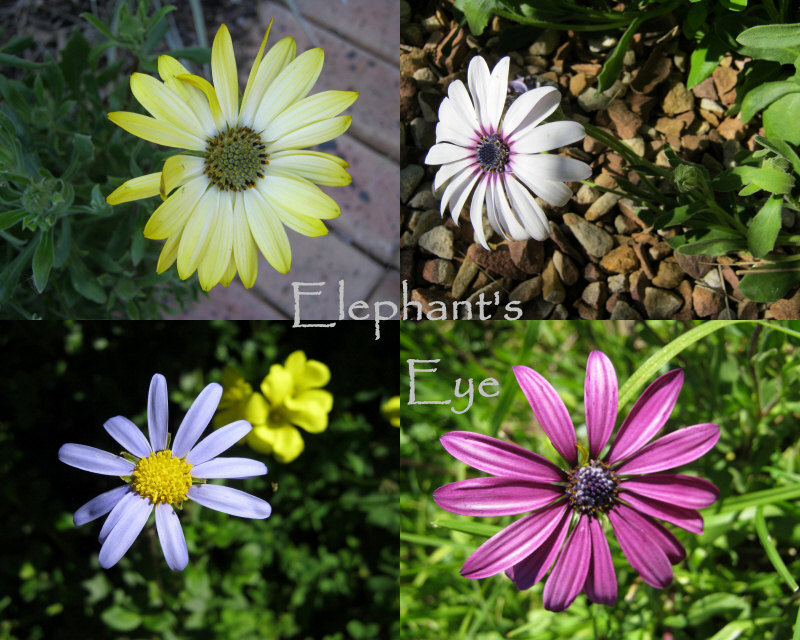 What follow are South African flowers all the way. South African wildflowers planted in my garden. Some from the wrong summer rainfall side of the country – those sulk and whine in summer, but now they are dancing for joy. Where I let be, I have a thick carpet of limey yellow Oxalis pes-capreae. My pots of Ifafa lilies are dense with flowers. The planters around the ash trees and the patch near the sun bed have humungous fans of Chasmanthe leaves, with lots of the chosen buttery yellow flowers, and a few orange intruders. Below the bridge at Plum Creek pots of vlei lilies delight me. A blue Felicia daisy keeps company with Dimorphotheca jucunda in white, purple and yellow. Pelargoniums reward me year round with a few shapely fragrant leaves for the tiniest posy, a daunting supply of cuttings when it’s not summer, and an exuberant display of colour when they are on a roll. Slowing down and taking time to observe the developing flowers on the Karoo Koppie. 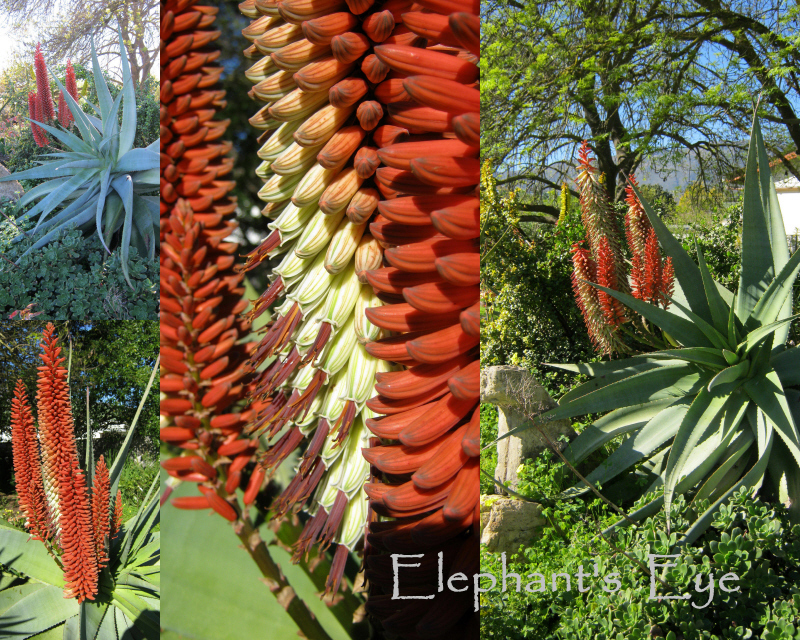 Aloe speciosa produces tall flames of tomato red buds, which ripen to a startling ivory. For the sunbirds and weavers the next course of nectar is served. Among the yellow succulents are the lemon yellow Bulbine (which has recovered from being strimmed as ‘grass’). The deep purple leaves for which I rescued the Aeonium (African, but not SOUTH African) from a neighbour’s heap of garden waste – have exploded into a fat mustard yellow plume of flowers. NOT my choice. Aloe marlothii has a burgundy stalk for its flowers. Sharp yellow buds opening to red. We have strandsalie beach sage in burnt orange, white jasmine and garlic buchu, red Tecoma, mauve Scabiosa. Burgundy buds on Melianthus major which have since opened to the satisfaction of hungry weavers and sunbirds. As I sit in Paradise and Roses enjoying a late breakfast in the sun, I must be wary of being in the flight path of the weavers. Heading for nectar, or losing a bit of grubby sheep’s wool – just missed my bowl of muesli! 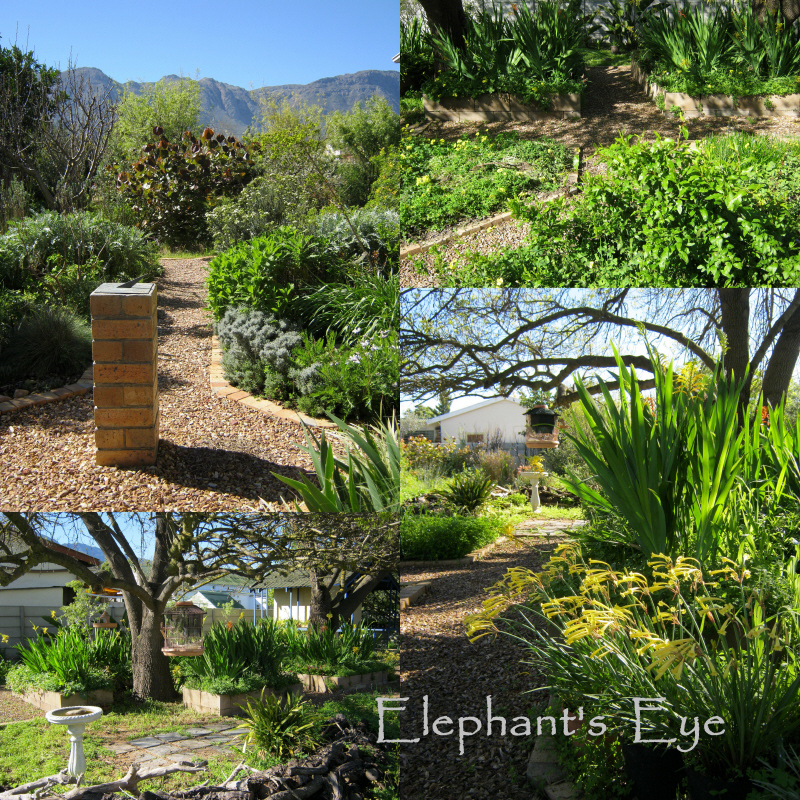 Looking at the planters under the ash tree from three sides showing those sheaves of Chasmanthe leaves. I’m joining Wildflower Wednesday with Gail at Clay and Limestone in Tennessee. Tu blog es bellisimo, me ha encantado. Te felicito. Saludos desde España. What a joyful array of colours Diana. Those ifafa lilies have beautiful flowers. What birds visit those long flowers? 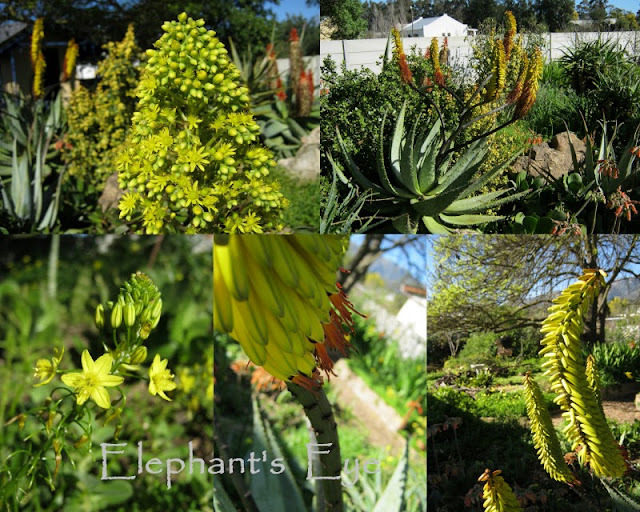 The sunbirds with their long beaks, and the weavers who rip off the aloe flowers to get the nectar. Lovely pictures !as always ! 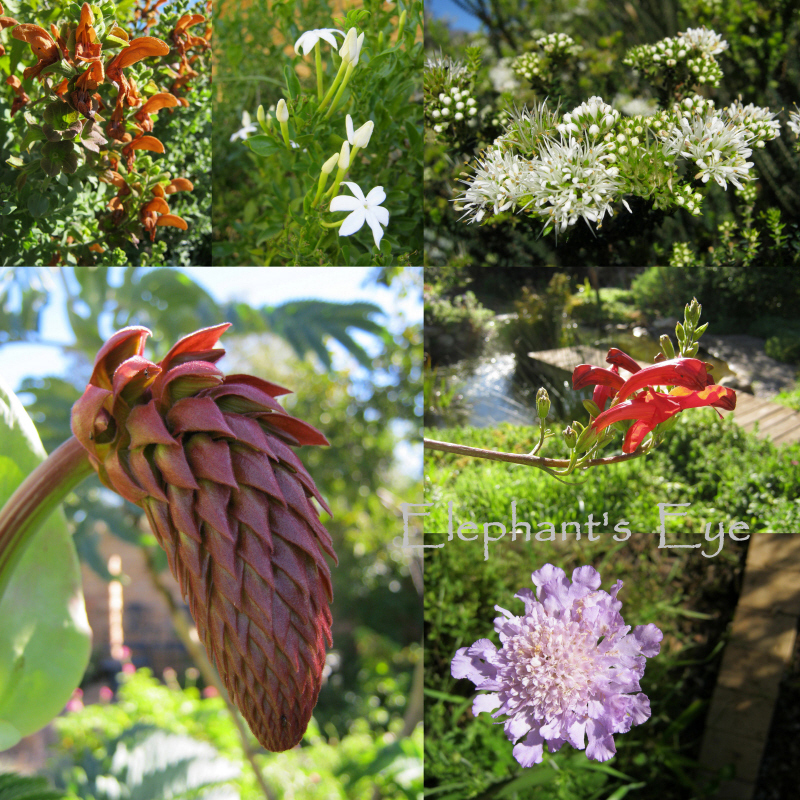 All the aloes are stunning, I love the ones that change colour as they open, I've not seen them before. Sadly winters here are too cold for them, we often have nights with minus numbers even as low as 10 or 12 (not often but often enough for me to rule them out). Ir must be so bitter sweet to be seeing your last spring in your beautiful garden though I'm sure tinged with impatience to be starting afresh. 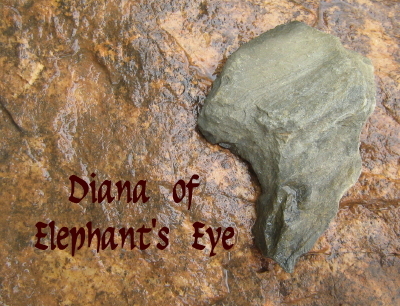 The views to Elephant's Eye mountain are so beautiful. I'm always fascinated by the African flowers, plants which grow here in pots in summer outside or in the conservatory. The Melianthus major is such a beauty, the Tecoma, the Aeoniums and Chasmanthes all these plants I had or still have, but so difficult to keep in winter. Beautiful, but spoken almost in a foreign language for me. Early spring approaches with glory in your part of the world. What fantastic views and what fun as you sit eating your breakfast in the flight path of weavers! The Aloe speciosa is amazing. Loving the aloe and how lush the foliage looks in that last montage. 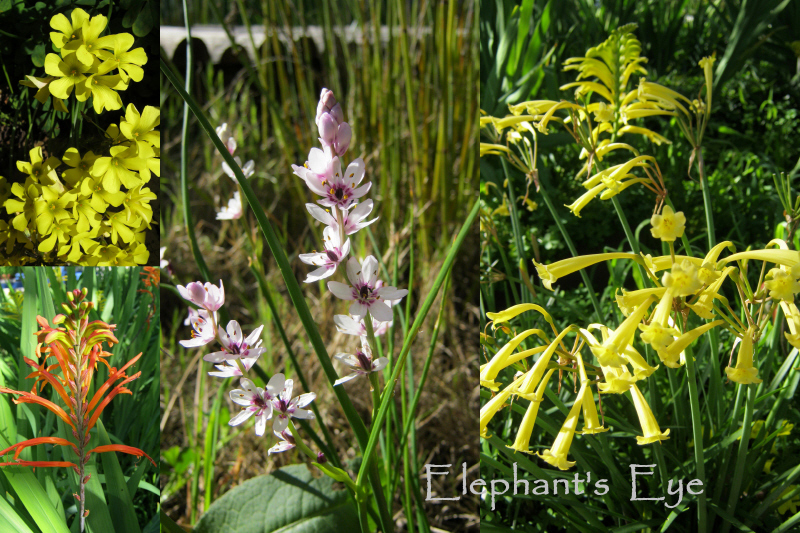 That Aloe speciosa is simply magnificent, but the wildflowers stole the show for me. Your August garden is looking so beautiful. I really like the Karoo Koppie! 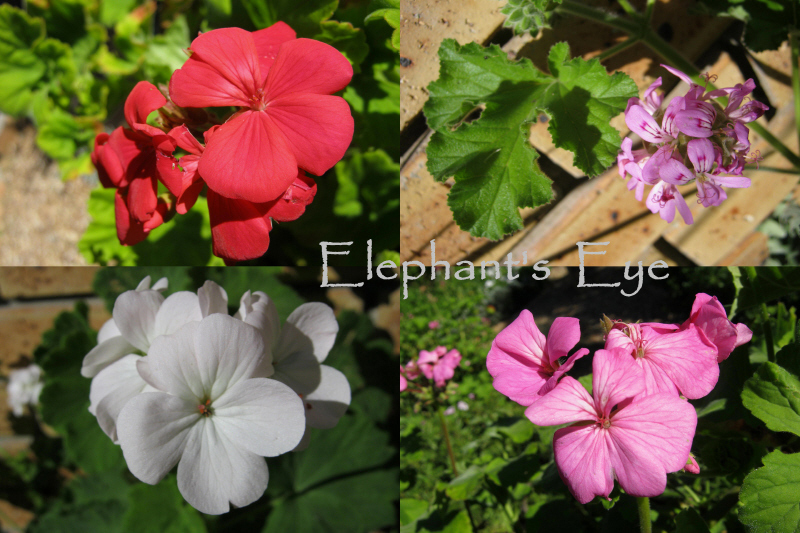 Your Pellargoniums are lovely in their native setting. How wonderful to have Roses, tall Grasses, and colorful wildflowers all in your line of sight ... and with a backdrop of a snowy mountain! diana, the garden's looking great - I love that view with the mountain in the background. all the photos in the final collage give a sense of what it feels like being in the garden. 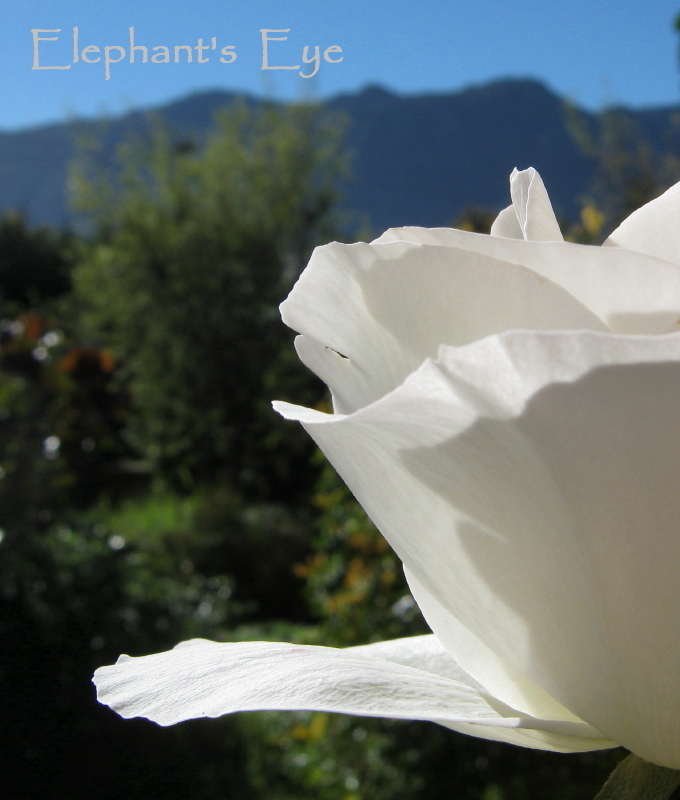 I swear the light and the flowers are better in South Africa than anywhere else on earth. How very beautiful. Thank you for sharing. I have never seen aloe in bloom and I am in love. Just gorgeous....and all your blooms are so refreshing especially all the wildflowers.